Drinking all-American today – you gotta! Domaine Carneros is an awesome sparkling producer, and Blanc de Noir rules. 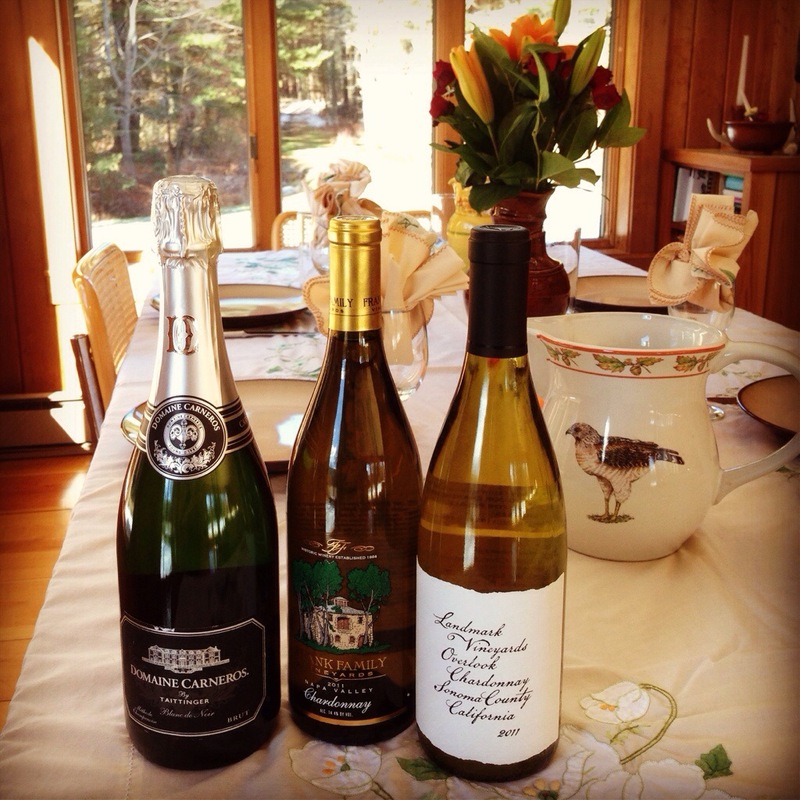 Frank Family and Landmark both make great Chardonnays – full bodied but not overly oaked, perfect for all the yummy rich foods on the Thanksgiving table. Tag me @grapefriend on Twitter or Instagram – everyone’s pics up on the blog tomorrow! Have a great holiday. I’m thankful you all read along! Tags: chardonnay, food & drink, pinot noir, thanksgiving, wine. Bookmark the permalink. Happy Thanksgiving, I hope you had a great meal to go with your wines! We did! My mom’s a good cook. Enjoy yours as well! Thanks for the vino suggestions, Grape Friend! We won’t be doing the big meal until Saturday, so plenty of time to track down those lovely wines. Sometimes we postponed too if we had to wait for the rest of our family to get here! Beauty of a long weekend… Enjoy! You too – hope you had a well-wined holiday!